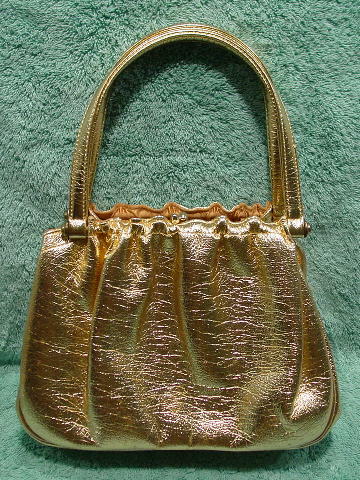 This vintage gold lame (krackle finish) handbag is by JR and was made in Florida. 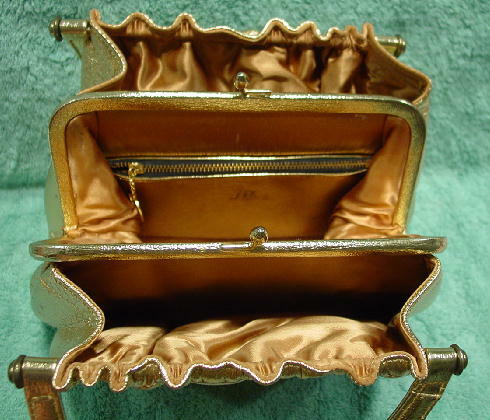 The center section has a gold-tone bypass closure and interior zippered pocket with a circular chain pull. 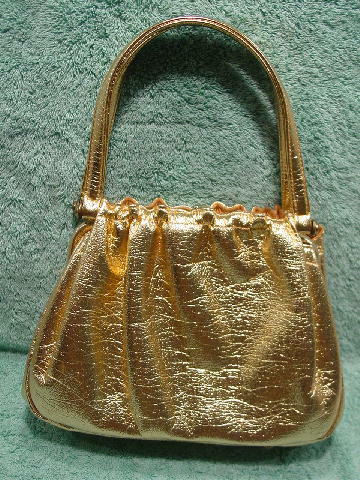 The light golden fabric lining has a small red mark and lots of little line and dot marks from items being put in and taken out of the purse. On each side of the center section is an open fabric lined compartment which is gathered and has a horizontal metal rod within the gathered fabric. It has two 15 1/4" handles and four little feet at the bottom. It's from a former actress/model.